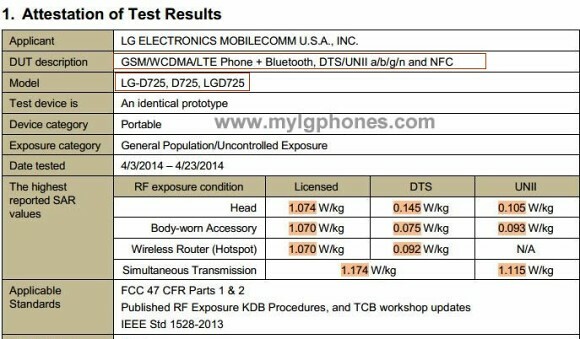 The LG G3 Beat or LG G3 Mini for AT&T may become official soon as it has just passed the FCC in the US. 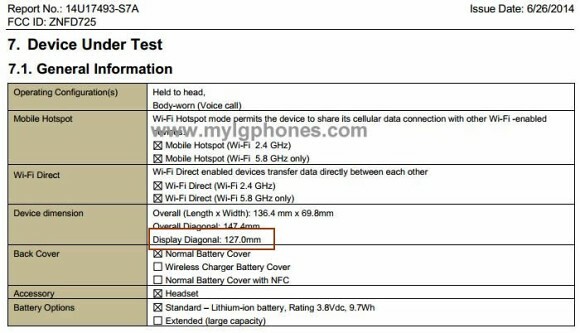 And while we learn some tidbits about the device having dual band Wi-Fi and LTE it's more important that it is labeled as having a 127.0mm display diagonal - that translates to exactly 5 inches. We've seen other listings of the LG G3 Mini but there it was said to pack a more mini-appropriate 4.5" display. Then again we've seen images in the wild which lend more credence to the 5" display rumors. The LG G3 Beat (or G3 Mini) should have an 8 MP camera on the back along with the back-placed volume controls and power button. We don't know if LG will be implementing the impressive laser tech we saw with the G3. The rest of the specs currently sit at a Snapdragon 400 with quad-core 1.2 GHz processor, Android 4.4.2 with LG's latest Optimus UI, 2 GB of RAM, 16 GB of storage, 2,540 mAh battery and a display resolution of 720p. Its not going to be that cheap and the Z1 Compact is a lot cheaper now than it was at launch. The comparison is valid because they are both smaller versions of the flagship phones. This isn't a budget phone either.